Comment: I would like to get an estimate for getting door to church repaired. It doesnt want to close all the way. Comment: I have a steel side garage door that need to be installed ASAP. I have the door already. Comment: The door is wood veneer and over something (maybe particle board) and moisture has damaged the bottom. I would like to have the door repaired, re-veneered, and painted. thanks! 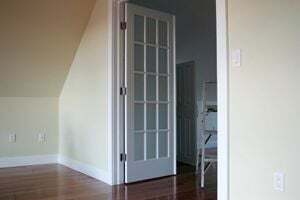 Comment: I would like to get an estimate for installing a set of doors in the bedroom.. Comment: Laundry door needs to be replaced with a pocket door due to limited space. The light switch will have to be moved as well. Oklahoma City Door Services are rated 4.72 out of 5 based on 433 reviews of 33 pros. Not Looking for Doors Contractors in Oklahoma City, OK?